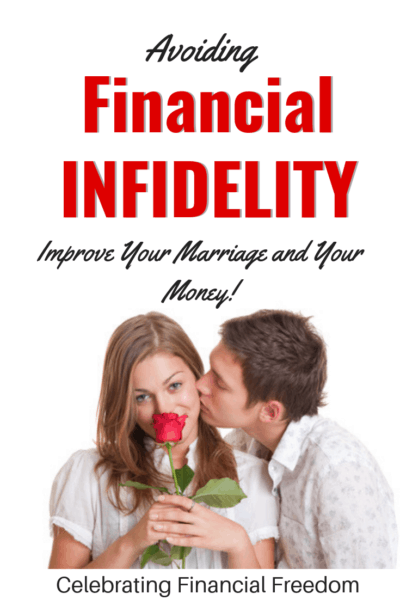 Avoiding Financial Infidelity- Improve Your Marriage and Your Money! You are here: Home / Marriage and Money / Avoiding Financial Infidelity- Improve Your Marriage and Your Money! According to the statistics, you probably have some level of financial infidelity going on in your marriage. Have you ever lied to your spouse about money? Do you have a bank account or credit card that your spouse doesn’t know about? In a survey done by CESI Debt Solutions, It was discovered that 20% of married people have a secret credit card, and 80% of married people hide purchases, credit cards, or bank accounts from their spouse. That means most of us are lying to our spouses about money. In other words, it's all about not being honest about money in your marriage. Take a look at the people you encounter on a regular basis. The church lady on the front pew with the pursed lips and the pointy glasses she’s been wearing since ’65? Yeah, she’s probably done it at some point. Your brother Bob who is honest to a fault? Probably so. What about your mother? Yes, your sainted mother. She would never lie to your dear father about money would she? Yes… even your sainted mother! Financial infidelity happens every day. In fact, almost 40% of those surveyed said if their secret spending was revealed, they were concerned it would cause their spouse to seek a divorce or separation. Holy cow! That’s a serious problem. As you’ve probably heard many times before, financial problems are the number one cause of divorce in this country. So why do we do it? Why do we tend to lie about money when we do something financially we know our spouse won't like? Sometimes it’s because as a couple you have no financial plan. You don't have an agreement when it comes to money. Or maybe the offending party has a lack of control (spending problem, addiction, etc.) in their life that they are ashamed to admit to. Whatever it is, it’s not worth driving a wedge between you and your spouse. It’s not worth the lost trust, marital discord, and possible divorce that could result from it. When you got married you became as one flesh. That means becoming of one body, one mind, together. It doesn’t mean you always have to be in total agreement. But at the very least it means not lying about money to each other. So in order to foster excellent communication and avoid financial infidelity, here are a few tips you can use. They'll help open the lines of communication and encourage agreement when it comes to finances. Sit down with your spouse and do a written spending plan (otherwise known as a budget). It's the best tool available to open up the lines of communication. When you have a solid, written plan for your money instead of flying by the seat of your pants, you’re less likely to have money fights. You will both know where the money is going because you agreed on it in your budget. Your spouse should know everything about you financially. He or she should know about every bank account, every credit card, and have access to your individual credit report. To some people that might sound like an invasion of privacy. But when you’re married, at the very least you should be able to trust your spouse with this info. Be willing to listen to your spouse. If they let you in on some financial secrets, try not to be judgmental or argumentative. Try to have a calm discussion and figure out how to resolve the situation. Move forward in a positive way so that the deception doesn’t happen again and new trust can be formed. When you get married, according to the Bible you become one. When it comes to money there is no “His” money and “Her” money, or “His” bills and “Her” bills. 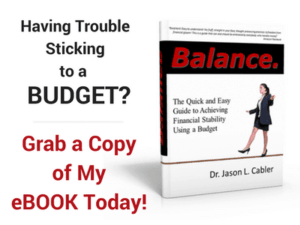 Have both of your paychecks deposited into one account, and pay all of your budgeted bills and expenses out of it. That way, both of you can keep tabs on what’s going on with the money. Comibining your money helps engender trust and communication about finances. In fact, it can help each spouse be more honest and trustworthy because everything is open and available for discussion. When it comes down to it, you have to remember that you and your spouse are not separate entities, you are one. When you treat your financial life as “His” and “Hers”, you more easily open your marriage up to issues of deceit and mistrust that can tear apart your relationship. One of the best things you can do is to link all of your financial accounts into one central dashboard using Personal Capital. It's a FREE service that stores all your information in one central location, allowing both partners to keep track, and allowing you to make better financial decisions on a daily basis. How to Avoid Financial Infidelity -Can Your Spouse Trust You? When you put all of your financial issues on the table for review and discussion, it becomes so much easier to begin trusting your spouse financially. You'll eliminate the money fights that inevitably happen when no one knows what’s going on financially. My wife Angie and I are living proof! We have been doing a written budget for over a dozen years now. We each have access to the other’s financial information (including passwords) which we can review at any time. It was a long road to get there, but we trust each other with money 100%. We can both honestly say we can’t remember the last time we fought, or had a disagreement about, money. 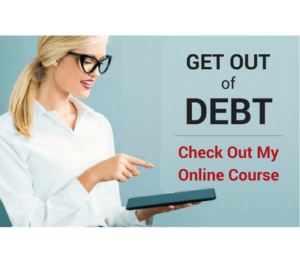 Learning to communicate and trust each other was key to us getting out of debt. So if you’re hiding financial information from your spouse, maybe it’s time to start fessing up. Start working together to become one financially. 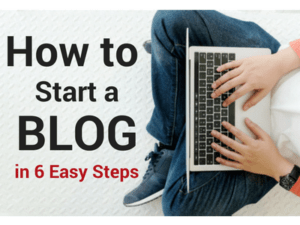 It’s not always easy in the beginning. But when you lay it all on the table and learn to be more honest, open, and trustworthy about money with your spouse, your marriage can only benefit in the long run. Financial infidelity will be a thing of the past!